I checked the stats for this site yesterday, and saw one of you landed here in a rather unexpected way. 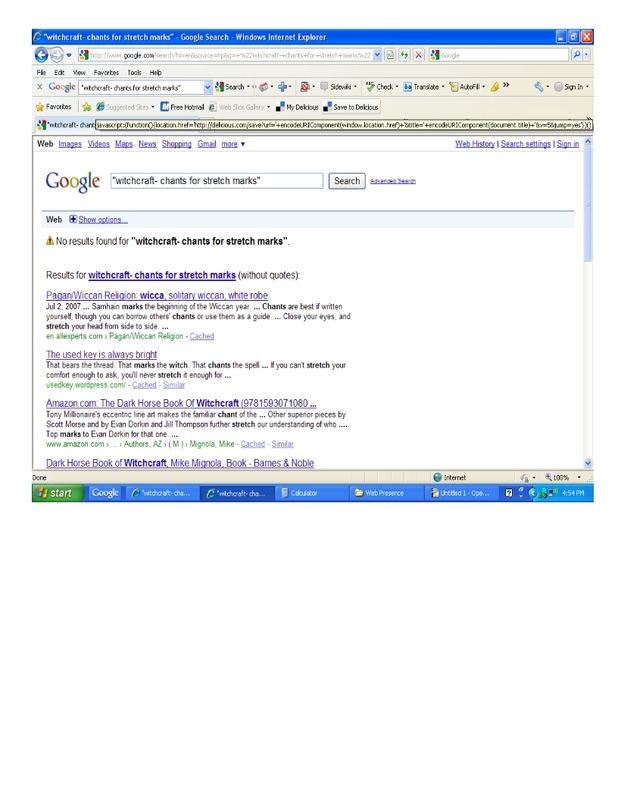 You typed “witchcraft- chants for stretch marks“ into your favorite search engine. Now I am not running down chanting. Or stretch marks. Or curing stretchmarks. With witchcraft. But I haven’t written a chant to cure stretchmarks. So how’d you end up here? it’s marks upon my skin. Wash smooth my skin again.